We all know how discounts lure customers and increase sales. But showing that you are selling an item for a lesser price isn’t sufficient these days, with all retailers & ecommerce websites offering discounts at the same time. 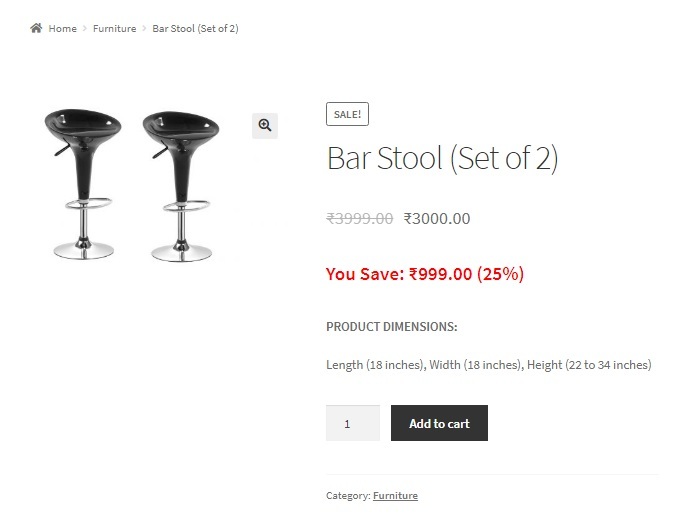 When only the old and new prices are displayed, the customer is left to do the math to calculate how much amount he is actually saving. A better way to handle this is to display the percentage of the amount the customer saves when he makes that purchase. This gives them a better idea and an easier way to decide whether to make that purchase. 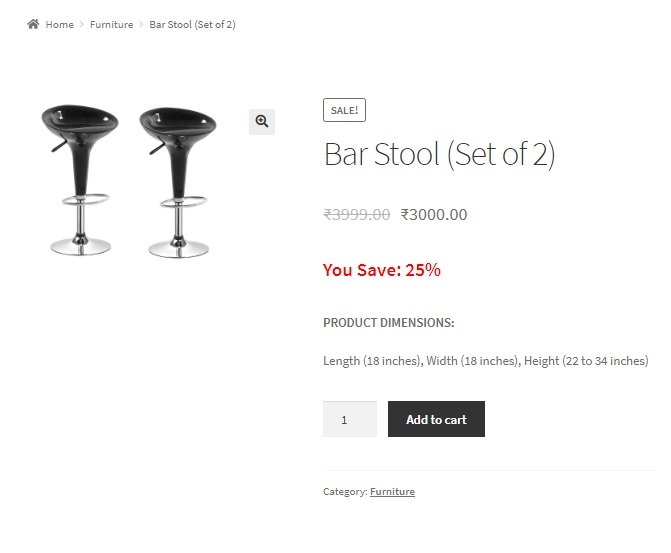 Let’s see how you can display “You Save x%” next to sale prices for both simple and variable products in WooCommerce. 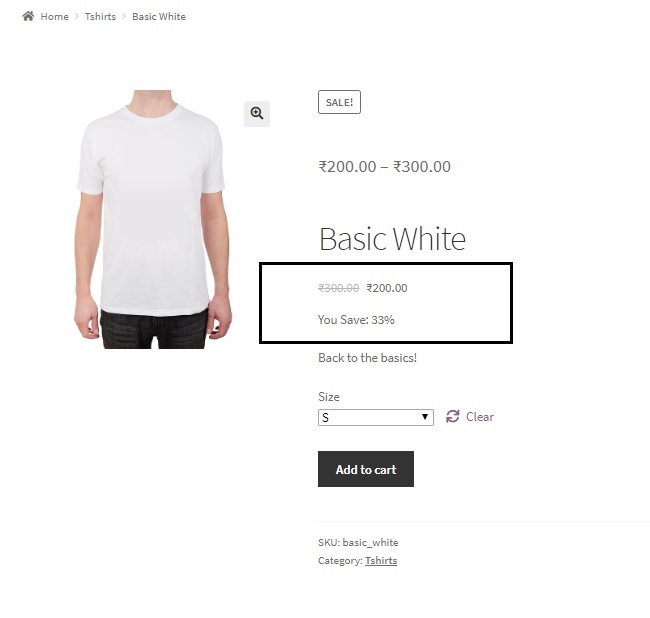 Adding the code below to the functions.php file of your child theme will display the “You Save x%” below the price of the simple product, so that the user immediately gets an idea of how good or bad the deal is. The number or in our case, the saved amount and percentage respectively (we have used the function twice). Number of decimal places. We have set it to 2 for the saved amount, and 0 for the percentage as we do not wish to display any decimal values for the percentage. The decimal separator you wish to use. We have set this to a dot(.) for the saved amount and a blank value for the percentage. The thousand separator. If the saved amount exceeds 1000, you can use this argument. We have set it to blank at present. 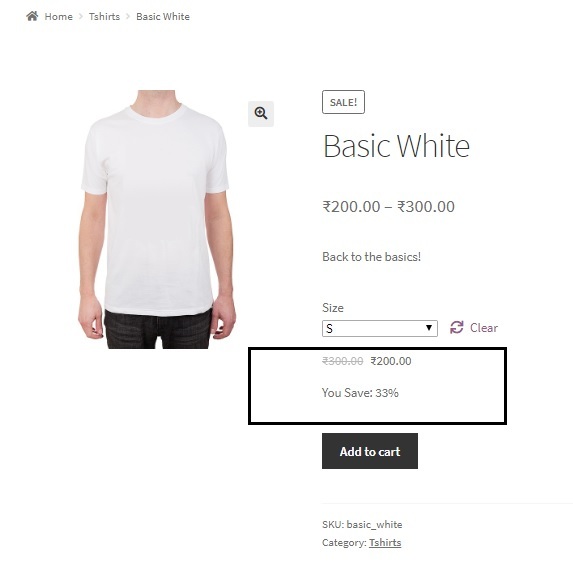 In this case, we will print the “You Save” text along with the saved percentage below the price that is displayed for the particular variation. You will need to add code snippets to both the functions.php and the footer.php files of your child theme. The following code snippet that you will add in the footer.php file contains a function that is triggered when the variation is changed. In our case, this is triggered when the size variation is selected or changed using the Size dropdown. This function captures the particular variation id and sends it to functions.php via an ajax call. 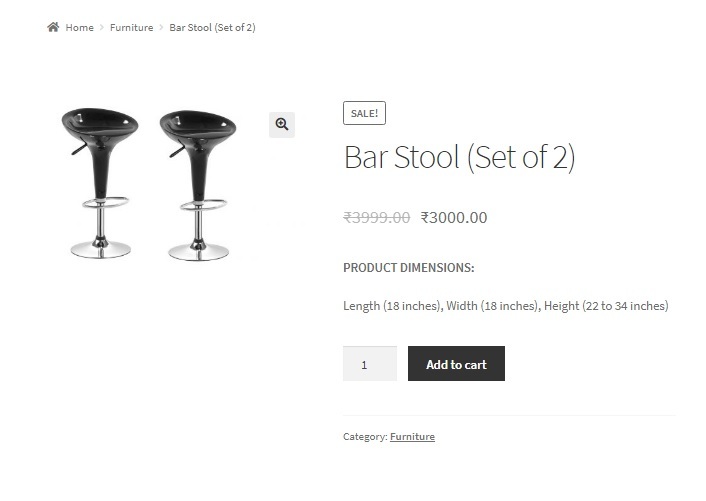 You need to replace <your_woocommerce_site_url> with the base URL of your WooCommerce website. 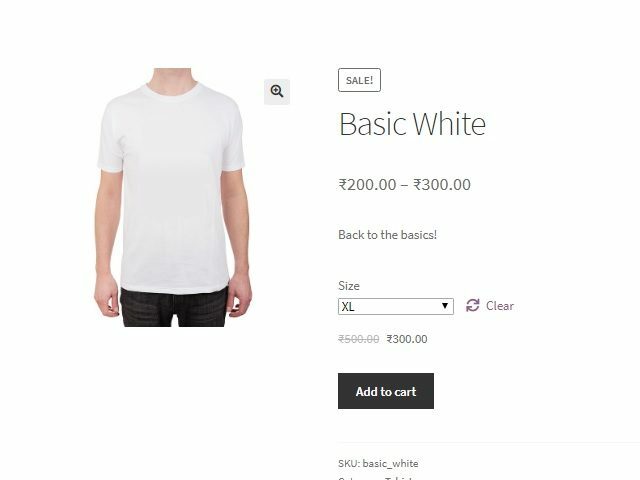 The following code snippet that you will add in the functions.php file contains a function ts_calc_percentage_saved that fetches the regular price & sale price of the product based on the variation id, calculates the percentage and returns the same to the ajax function in the footer.php file. The sanitize_text_field() function is a WordPress function that helps to sanitize the input we receive from the client side. Thus, you will now see “You Save”, along with the percentage of amount saved, below the price of the variation. Displaying “You Save %” below the Variation Price when a variation is selected from the dropdown. If you wish, you can display the You Save text along with the percentage saved below the product title instead of above the “Add to Cart” button by adding some more code snippets to the ones mentioned above. This piece of code should be added to the functions.php file of your child theme, in addition to the code snippets mentioned above (in the footer.php and functions.php files). Displaying Variation Price and “You Save %” below the Product Title when a variation is selected from the dropdown.